A friend of mine at a bodyshop Whom I asked about a grille for my premium bumper, put me in direct contact with A Hong Kong Roewe supplier who gave me the following news. Nice talking with you,sorry for the late reply because of my business trip. We can supply Roewe750 bumper and grille. Here is a good news for you,we can supply the grille for the Rover75 you need at competitive price,it can fit for the bumper that you attached to me,we also can supply you the bumper,so there is no need for you to modify anything. If you could buy more I can give you our best FOB quotation,please talk with your customers,how do you want to ship them to your city？By sea or by plane？If quantity is big I suggest you ship them by sea then you can save a lot of shipping cost.if you have any other questions please feel free to contact me at any time,welcome to write to me. I have one being shipped for approval for my premium bumper, I am going to speak to her when she gets back again about the price for the bumper and the paint finish. 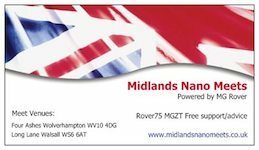 Anyone who definately wants a grille or grille and premium bumper, put your name down, I will post pics when the grille arrives and is fitted. Bit less than a grand eh. Last edited by Devilish; 14th September 2010 at 10:11..
May be a good idea to give some ball park figures for single orders of grille and / or bumper so as a worse case scenario people can work out their finances. Last edited by Lates; 14th September 2010 at 09:12.. It is all in the thread, you must have missed it. 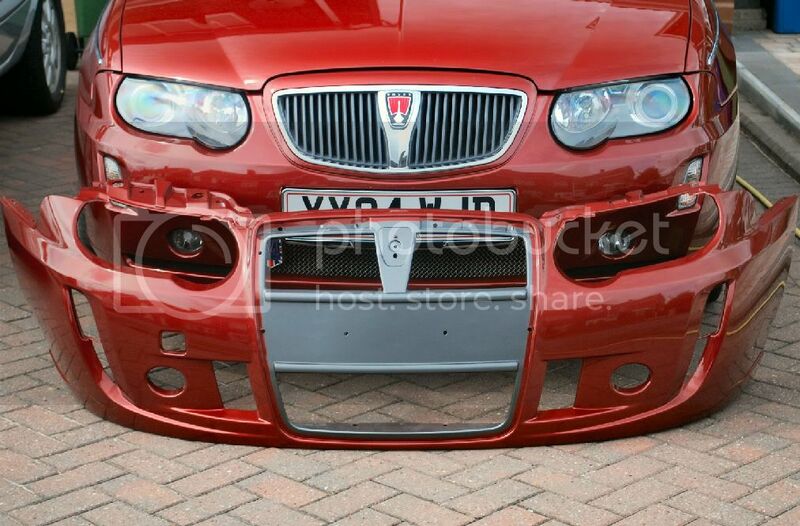 If mine fits ok and is the correct grille as she says, It is £150 if not my mate will send it back for me. Will just have to figure out how to attach spots, mesh, and indicators to mine, but that should be a peice of cake. Last edited by Devilish; 14th September 2010 at 09:51.. It is all in the thread, you must have missed it. The grille price for a single unit is there including air freight, this can be ordered anytime she is out on buisness and will give me a price of the bumper when she gets back. That will be high though compared to £60 from eBay, but much cheaper than £1k. I will be happy if I have to drill the bumper to fit mounting brackets with brass bolts, and have it resprayed, still only £300- £350 for a brand new premium bumper. Especially as I may have it sprayed anyway. time for me to get working on the fittings, need some spots and indicators though. Cannot have my bumper off for that long to make the mounts. Last edited by Devilish; 14th September 2010 at 10:08..
Be interesting to see the total cost (less paint) on her return. Good news is that it is "do able"
Do not really want to buy spots and indicators that I do not want just to make the mounting brackets, but if the grille arrives first, I will soon get hold of some and get them mounted. I have some stainless mesh, i suppose I could have a go at cutting it, I think I would rather have toothache than cut stainless mesh. I would use a mini disc to cut the mesh as opposed to side cutters or tin snips ? I see she also sells the Roewe 750 front bumper assembly complete. This has the main grill and the lower grill already fitted I think. Maybe even the lamps? Would this not fit directly onto the 75? It would save all the hassle of making mountings, mesh cutting/fitting etc. I can't imagine the Roewe bumper would be much different in price from the Premium one. Just a thought.